BPA was a member of the winning design/build team that competed for the right to develop a new housing compound for the U.S. Embassy in Belmopan, Belize. The contractor, Vistas Construction of Illinois, Inc., would develop the project and then lease it back to the government. BPA’s responsibility was to create the master plan for the compound and assure that the individual housing units were in compliance with the Department of State’s design and security guidelines. Once the Vistas Construction design/build team was awarded the project, fast-track construction started in late summer 2005 with initial occupancy occurring in the fall of 2006. 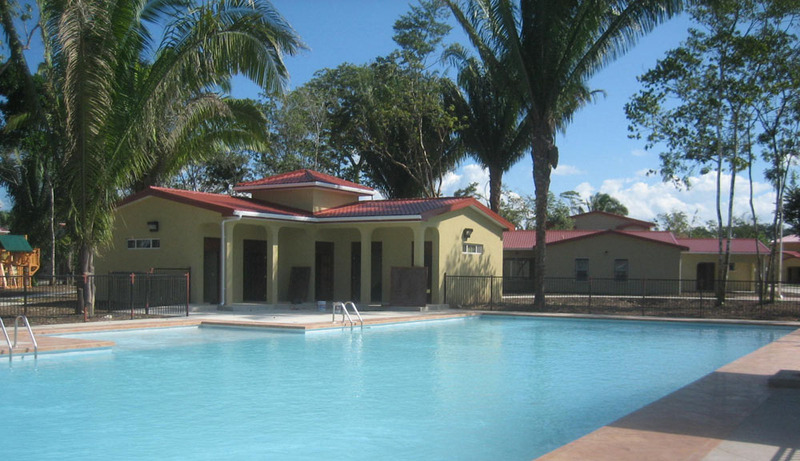 The residential compound includes a primary residence, with support facilities and seventeen single family homes. The site also contains recreational facilities including a swimming pool, pool house, game courts and other outdoor activity areas. Perimeter security for the compound includes perimeter walls with controlled access gates and compound access control buildings. Other infrastructure security enhancements include domestic water storage and emergency electrical power generators.